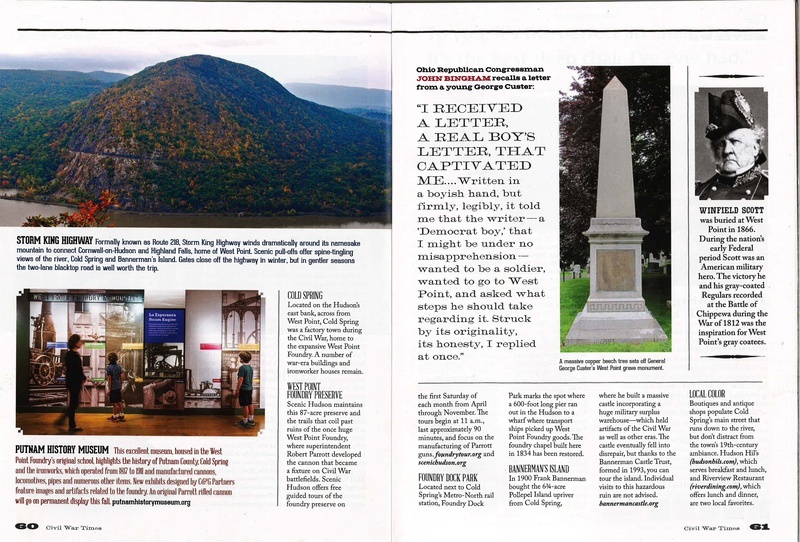 Civil War Times Magazine includes C&G Partners latest exhibit for the Putnam History Museum on its list of attractions to explore in the Lower Hudson River Valley this Fall. The October issue of the bi-monthly magazine is now available in print and online. Pick-up or download your copy today! The Putnam History Museum, located in the West Point Foundry’s original school, highlights the history of Putnam County, Cold Spring, NY, and the ironworks, which operated from 1817 to 1911 and manufactured cannons, locomotives, pipes and other items. 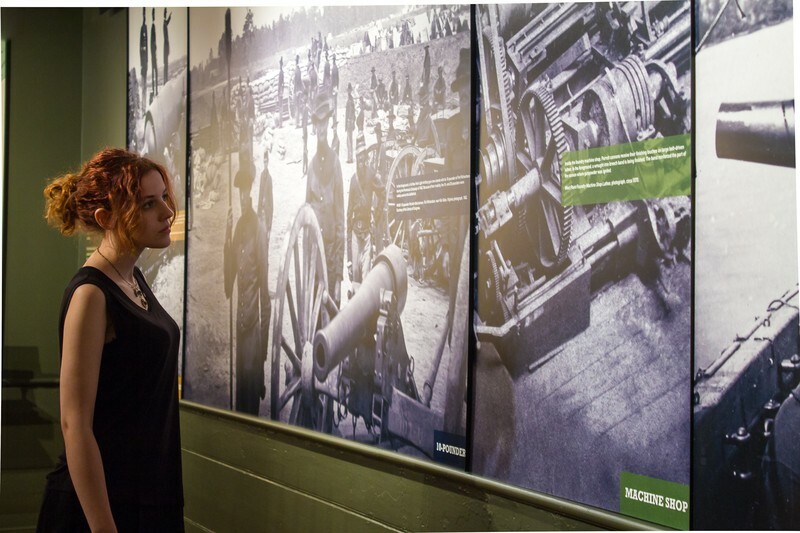 The Museum’s mandate is to collect, preserve, interpret, and present the history through exhibitions, programs and events. 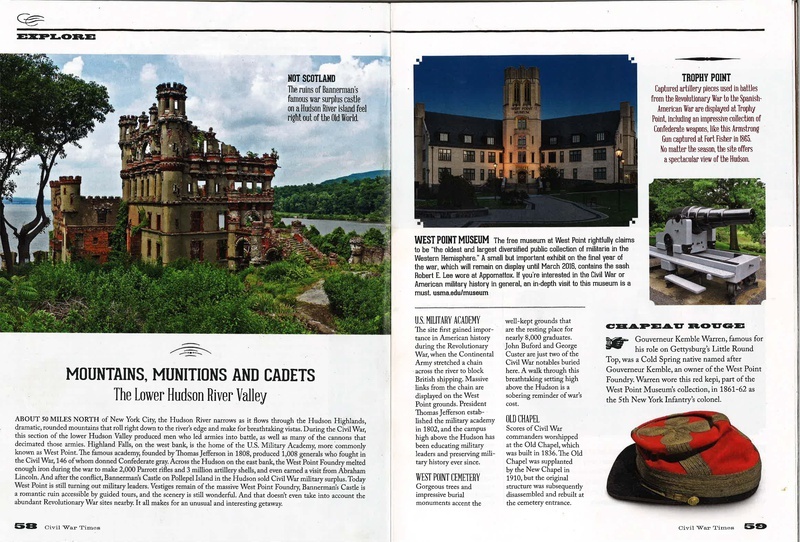 C&G Partners created the permanent exhibit based on the firm’s original design of outdoor interpretive experiences created for Scenic Hudson's neighboring West Point Foundry Preserve. 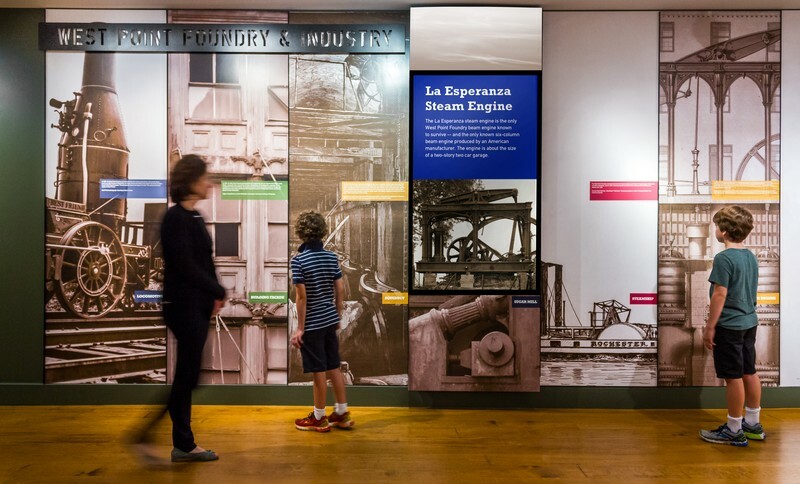 The exhibit's centerpiece is a commissioned info-graphic video that features the 150-year-old restored steam powered engine, reduction gears and sugar mill cast at the Foundry and still operating today at the La Esperanza sugar plantation in Puerto Rico. 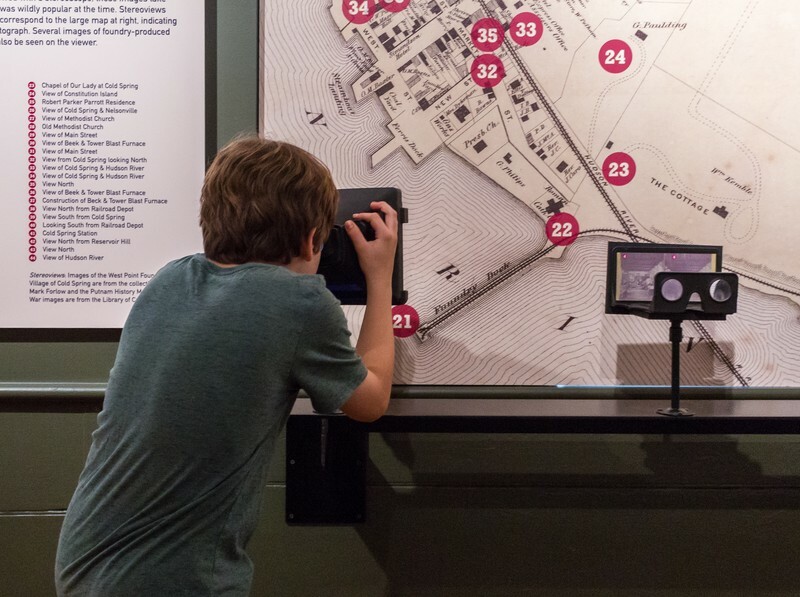 Other displays include full size floor graphics of the legendary Parrot cannon rifled at West Point and a collection of more than 100 digital images presented on a 3D printed viewer of the historic town paired with current day Main Street photographs. The exhibit is expected to open in Fall 2015. More on Scenic Hudson and West Point Foundry Preserve here.